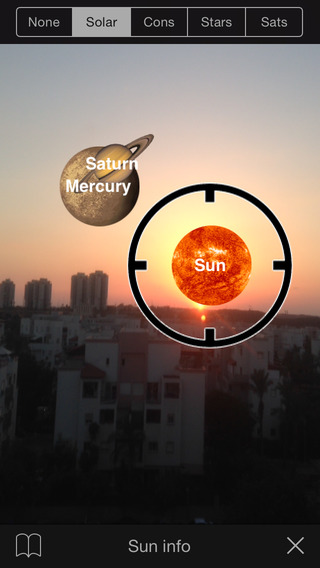 Planet Finder guides you to see planets and stars in the sky. 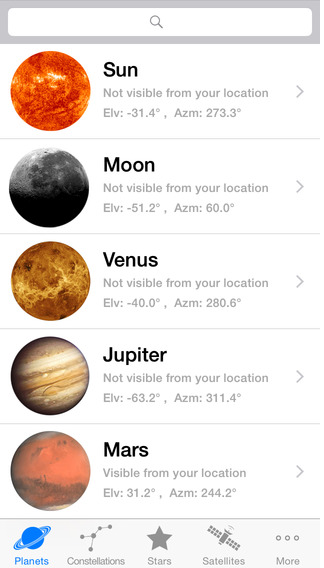 Simply choose a planet from the list, and Planet Finder will guide you to the planet. How to use Planet Finder? Choose a star from the ‘Pointer’ tab, a black crosshair will appear on the screen. Move the iPhone into direction of the crosshair until the black crosshair will be in the center of the screen. When the crosshair is centered, the iPhone points the chosen star. 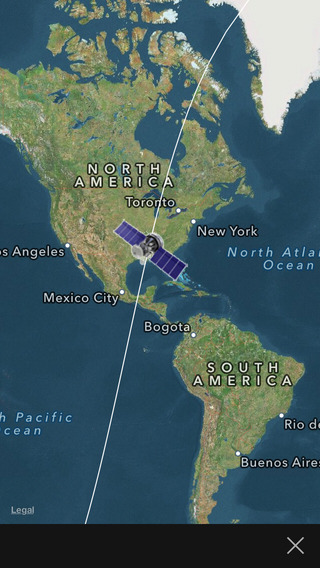 Planet Finder calculates the stars’ position by using GPS coordinates, date and time. It knows where you point your device by using accelerometers and compass. Then, it shows a crosshair on the screen to guide you to the star. 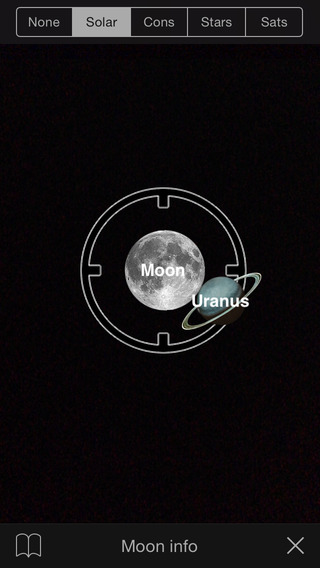 Make sure that iPhone’s date and time are correct, and use this app outdoor. Calibrate iPhone’s compass using the integrated compass app. You should calibrate the compass using the integrated compass app because iPhone’s compass sensor have low-accuracy. Choose the Sun or Moon from the list, Center them on the red crosshair, tap on the ‘Calibrate’ button, tap ‘Ok’, tap again on the ‘Calibrate’ button to confirm calibration. You can reset the calibration using the Options menu.